What are you reading this summer? We polled our Enterprisers and IT executives to see which books had the most impact on them. They are listed here as part of our Enterprisers Project Summer Book Giveaway. Check out the list below, and then enter for a chance to win all the books. The instructions are simple, and the chances are high, so give it a go! Editor's note: The contest is officially closed. We will be contacting winners the week of Aug. 1 via Twitter. Thank you to everyone who entered. 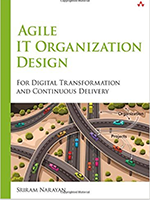 Book description: Drawing on 15+ years working with leaders in telecommunications, finance, energy, retail, and beyond, author Sriram Narayan introduces a comprehensive agile approach to "Business-IT Effectiveness" that is as practical as it is valuable. Why it’s a must-read: "Beyond the technology enablers, the book dives into the organizational design and management culture needed to thrive in this agile world," Marcante says. Book Description: Through a story everyone can relate to about a man facing challenges on the job and in his family, the authors expose the fascinating ways that we can blind ourselves to our true motivations and unwittingly sabotage the effectiveness of our own efforts to achieve success and increase happiness. Why it’s a must-read: "I believe it’s a very useful tool in really understanding empathy to others," Gold says. "It will make you a better person and make you a more productive part of your company and of society as a whole." 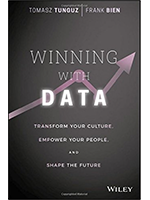 Book description: “Winning with Data” explores the cultural changes big data brings to business and shows you how to adapt your organization to leverage data to maximum effect. Authors Tomasz Tunguz and Frank Bien draw on an extensive background in big data, business intelligence, and business strategy to provide a blueprint for companies looking to move head-on into the data wave. Why it’s a must-read: "It is relevant both to senior execs but especially for CIOs as they contemplate how they transition oceans of data and convert it into actionable intelligence for their organization," Marshall says. 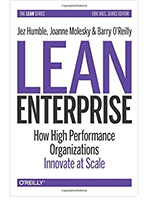 Book description: How well does your organization respond to changing market conditions, customer needs, and emerging technologies when building software-based products? This practical guide presents lean and agile principles and patterns to help you move fast at scale—and demonstrates why and how to apply these methodologies throughout your organization, rather than with just one department or team. Why it’s a must-read: "Whether it is to ensure the survival of their organization or to transform them into market leaders, this book is squarely aimed at IT and organizational leaders and how they can change their entire organization to adapt to the constant change in technology and customer demands," Grange says. 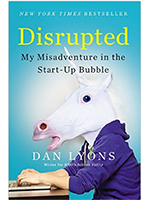 Book description: With a cast of characters that includes devilish angel investors, fad-chasing venture capitalists, entrepreneurs and "wantrapreneurs," bloggers and brogrammers, social climbers and sociopaths, Disrupted is a gripping and definitive account of life in the (second) tech bubble. Why it’s a must-read: "This is essential reading for anyone working in the tech industry or those who need a primer on what NOT to do when managing both Baby Boomers and Millennials," Hurley says. "It's a great read that's hilarious and haunting, with Dan Lyons not afraid to show his petulant side. Leaders can read it as a cautionary tale of growing too quickly, hiring the wrong people, and social media mishaps." 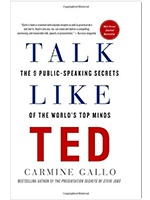 Book description: Many people have a fear of public speaking or they're insecure about their ability to give a TED-worthy presentation. Talk Like TED will give you the tools to create presentations around the ideas that matter most to you, the skill to win over hearts and minds, and the confidence to deliver the talk of your life. Why it’s a must-read: "This is a great book that will help CIOs learn how to communicate complex issues in a simple and inspiring way," Kotorov says. "We need to use technology speak to inspire and not to scare people." 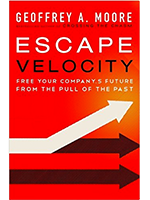 Book description: In “Escape Velocity” Geoffrey A. Moore, author of the marketing masterwork “Crossing the Chasm,” teaches twenty-first-century enterprises how to overcome the pull of the past and reorient their organizations to meet a new era of competition. Why it’s a must-read: "Too often we put too much emphasis on failures or on sudden success and that can drive bad decisions," Boyd says. "They are important indicators, but learning from those quick successes and failures can lead to long-term major success. Pay attention to the indicators they will be a great guide." 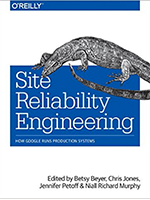 Book description: In this collection of essays and articles, key members of Google’s Site Reliability Team explain how and why their commitment to the entire lifecycle has enabled the company to successfully build, deploy, monitor, and maintain some of the largest software systems in the world. You’ll learn the principles and practices that enable Google engineers to make systems more scalable, reliable, and efficient—lessons directly applicable to your organization. Why it’s a must-read: "The book describes how Google produces and operates software. 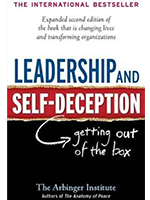 While not many organizations have the kind of problems they face, nor possess the kind of resources they have, it's still a great read that gives you a mental framework in which you can evaluate your own organization and how it produces and operates software," Kawaguchi says. 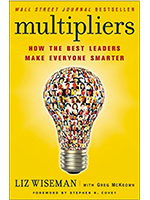 Book description: A thought-provoking, accessible, and essential exploration of why some leaders (“Diminishers”) drain capability and intelligence from their teams, while others (“Multipliers”) amplify it to produce better results. 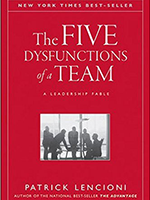 Book description: Throughout the story, author Patrick Lencioni reveals the five dysfunctions, which go to the very heart of why teams, even the best ones, often struggle. Why it’s a must-read: "Leading IT professionals is challenging at times. Over the last two decades, I have seen some of the best communicators fail at leading their staff," Martino says. "Being in leadership myself, I understand the struggle of managing highly-educated, technical professionals. Many of these professionals are not the best verbal communicators, yet often have strong opinions. CIOs struggle getting buy-in from their teams. And rather than fixing the buy-in problem, they try to force their belief system onto their team. The book teaches us through an addictive fable that when leading educated, technical professionals - we should stop trying to tell them what to think and give them the opportunity to be heard. Stop trying to convince them of your plan and start listening to their ideas.